Our next Homing Show will be held on Saturday 27 April, from 10.30am to 1pm, at Hadleigh Methodist Church Hall, Chapel Lane, Hadleigh, SS7 2PQ. All the cats at the show will be in good health, microchipped, vaccinated and, dependent on their age, neutered. They also come covered by four weeks' Pet Plan insurance (excess applies). But you don't have to wait until the Show to offer a cat a home - we're always looking for new homes for the cats in our care every day. 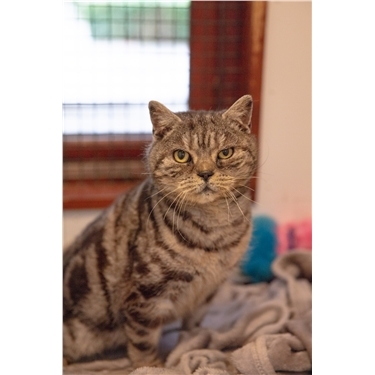 Please contact Yvonne on 01268 750831 or Val on 07908 571652 for more information and to arrange the home visit that will be needed before the cat is homed with you. Even if you are not ready to take on a new cat, why not come along and see how the Homing Show works? As well as many lovely cats looking for homes, we'll also have tables selling a wide range of cat and dog goods plus Cats Protection gifts and cat-themed goods, such as mugs, notebooks and greetings cards. Buying something from the tables is a great way to support us if you're not able to adopt a cat at the present time. Admission to the Homing Show is free but donations are very welcome.